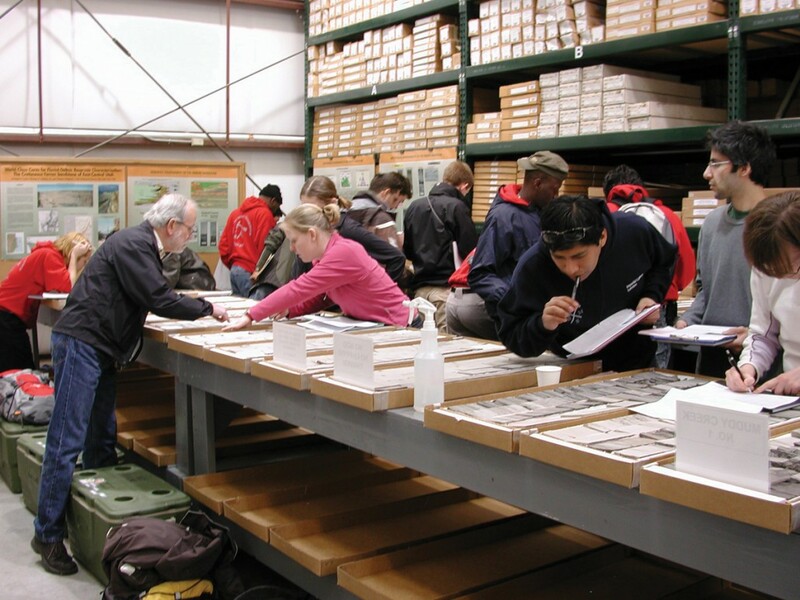 Students examine the Ferron core set as part of their geology course in stratigraphy and sedimentation. 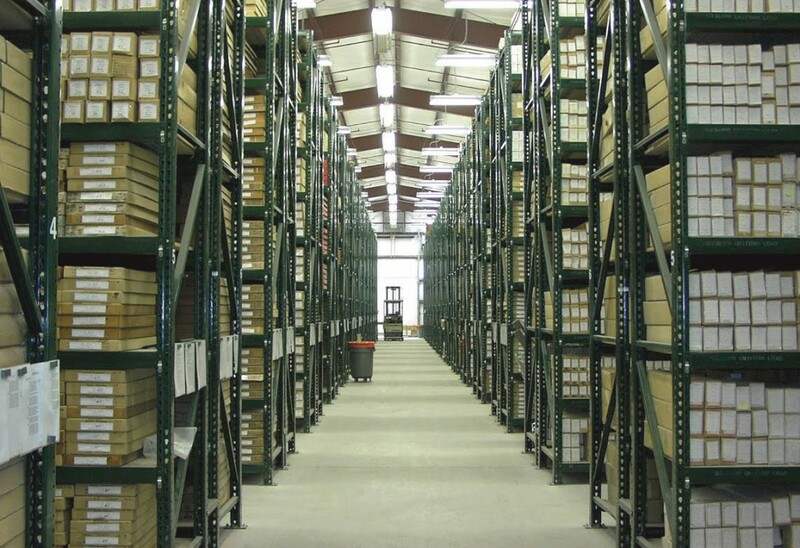 The Utah Geological Survey’s Utah Core Research Center, established in 1951 and now occupying a 12,000-square-foot warehouse, contains the region’s only publicly available and most complete collection of geologic cuttings and core from Utah. 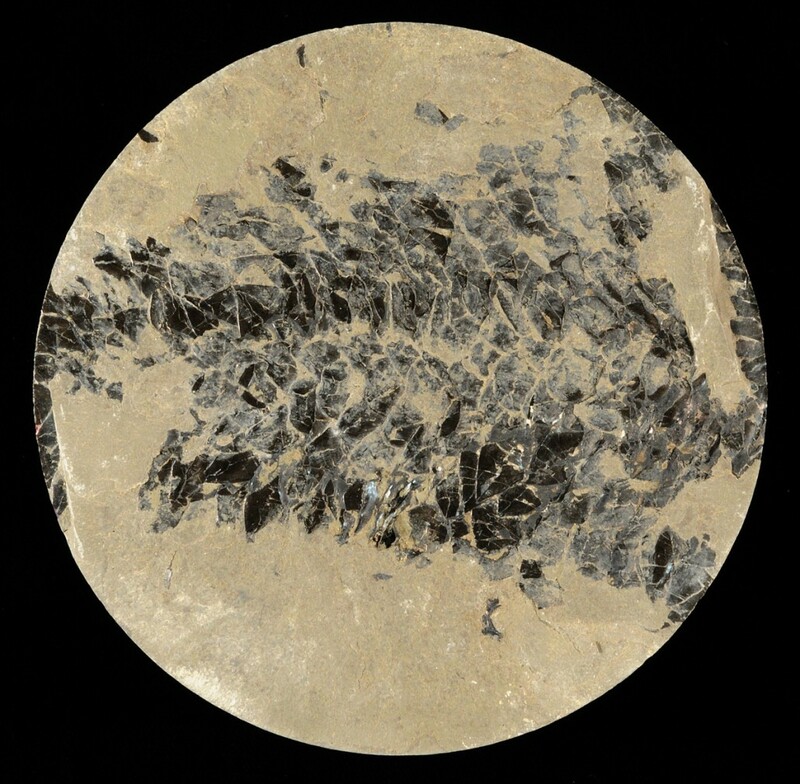 The facility currently holds cuttings from approximately 5400 drill holes; core samples from more than 1500 drill holes; a collection of type oils from all producing formations in the state; and miscellaneous samples of metallic minerals, industrial rocks and minerals, tar sands, and oil shale. 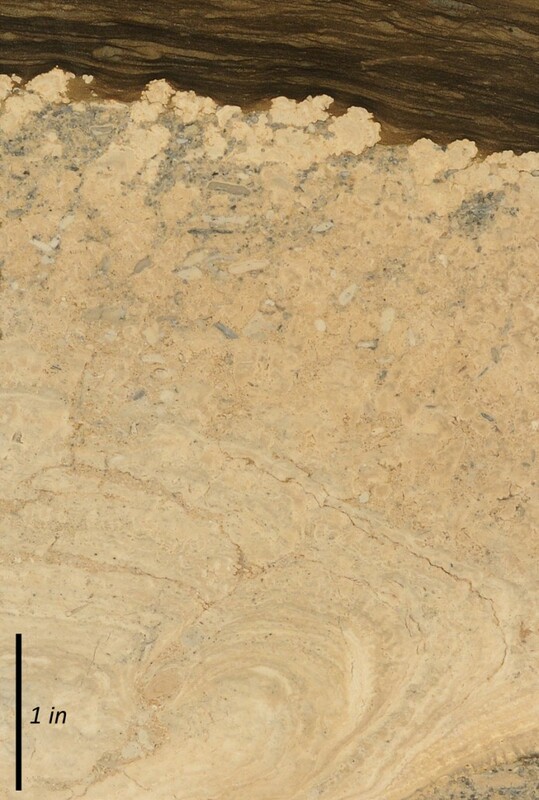 The Utah Core Research Center provides a service to all interested individuals, universities, and companies requiring direct observation of actual samples for their research or investigations, and it acts as a repository for irreplaceable geologic samples which might otherwise be discarded. Used more and more often for education and research endeavors, the Utah Core Research Center offers core workshops for oil company training sessions, geologic program short courses, college thesis work, and sample evaluations for UGS/industry cooperative projects. The staff has recently inventoried and re-indexed the entire collection. The facility is equipped with an automated Order Selector and has large layout tables for examination of core and samples. Equipment includes an on-site saw and drill press, binocular microscope, and UV light. A selection of reagents are available for simple chemical tests. Destructive testing is occasionally permitted. 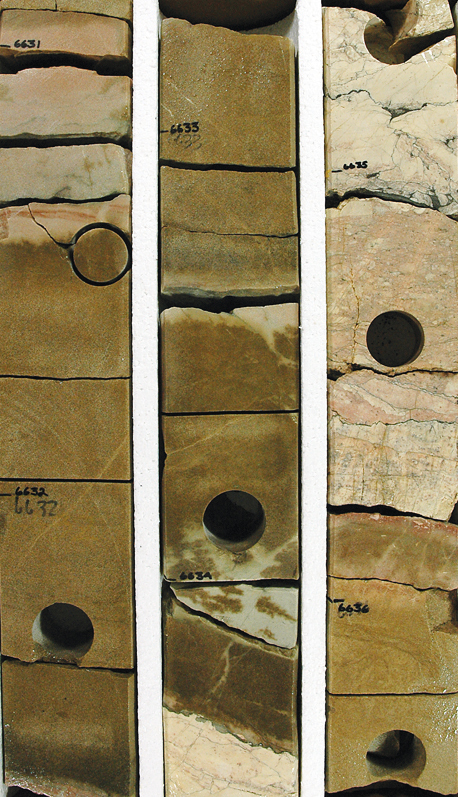 Core, cuttings, and other geological samples may be viewed on-site with advanced reservation. There is a minimal charge for sample use (see Fee Schedule). In addition, many of the individual cores have been photographed, and these photo sets are available. The Utah Core Research Center aggressively pursues acquisitions of new samples. Industry’s response is gratifying and the number of donations increases each year. Donations of cores, core chips, cuttings, oils, or other pertinent data such as lithologic or geophysical logs, assay results, and reservoir or engineering data are encouraged. Any inquiries about the Core Centers collection and services are welcomed. 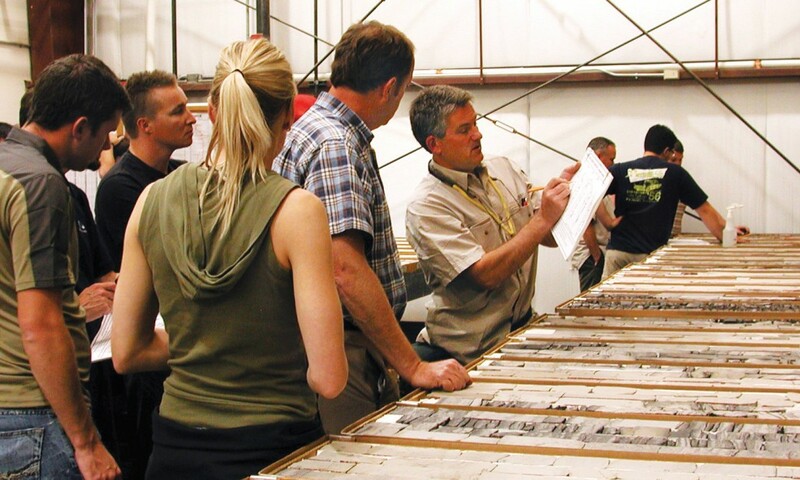 The Utah Geological Survey has the expertise to teach or host several workshops, for both industry and academia, using core available at the UCRC. Many of these core workshops can be paired with field trips to observe the same rocks in spectacular outcrops throughout Utah. Presented October 2017 at the Geological Society of America annual meeting in Seattle Washington. Oil or gas reservoir quality point bar/channel sandstone overlying offshore marine siltstone and shale. Each column highlights a unique set of rock cores stored and publicly available (for a nominal fee) at the Utah Core Research Center (UCRC), in Salt Lake City, Utah. 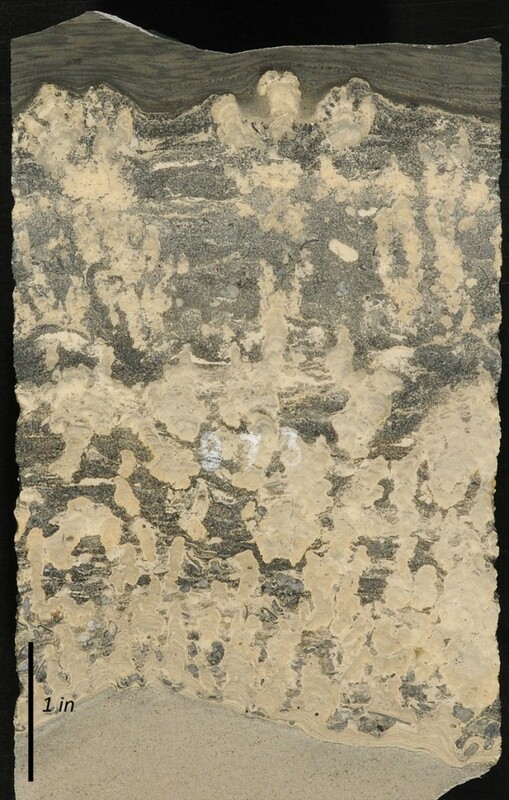 These cores, obtained through UGS projects and generous industry donations, are used for teaching geology students and training industry professionals, particularly those who search for oil and gas, and for research. 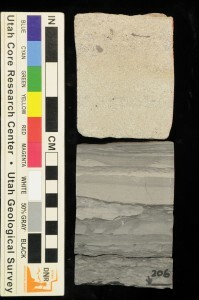 Utah is unique in that the rocks in the UCRC collection of cores are also exposed in canyons, mountains, and plateaus throughout the state. Thus, geology groups and researchers often head to the field to get an up-close view of the same rocks they examined at the UCRC. To assist, the UGS offers core workshops (and field trips) using cores showing classic examples of Utah geology to enlighten bright young minds and train the working professionals. 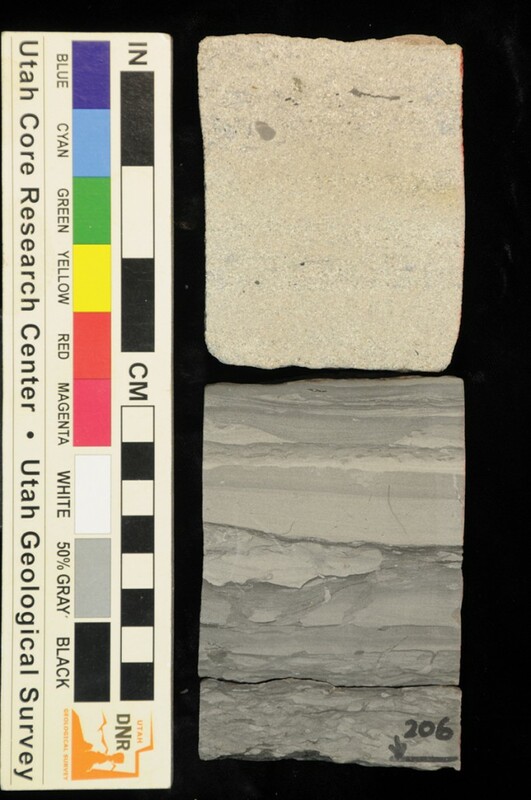 The Trust Fund will create autonomy and security for Utah’s only publicly available repository of geologic cuttings and core, thus continuing a tradition of service to all interested individuals and organizations that require direct observation of actual samples for research and investigations of Utah’s geologic legacy. 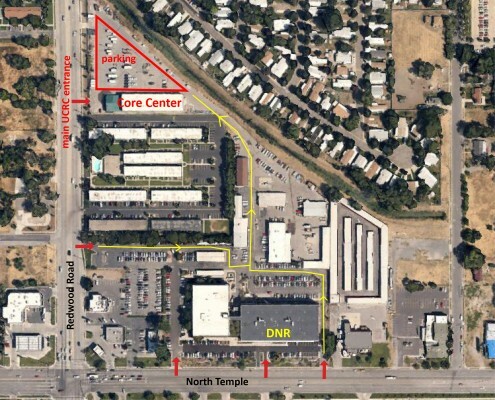 The Utah Core Research Center has an annual operating budget of approximately $40,000, which includes equipment maintenance and building costs. By creating a Trust Fund capable of generating enough interest to meet that budget as well as maintain and replace equipment and shelving, the Utah Core Research Center will become financially independent and self-sustaining. That position will shelter the Utah Core Research Center’s esoteric and scientific nature from the annual political scrutiny involved in public funding. 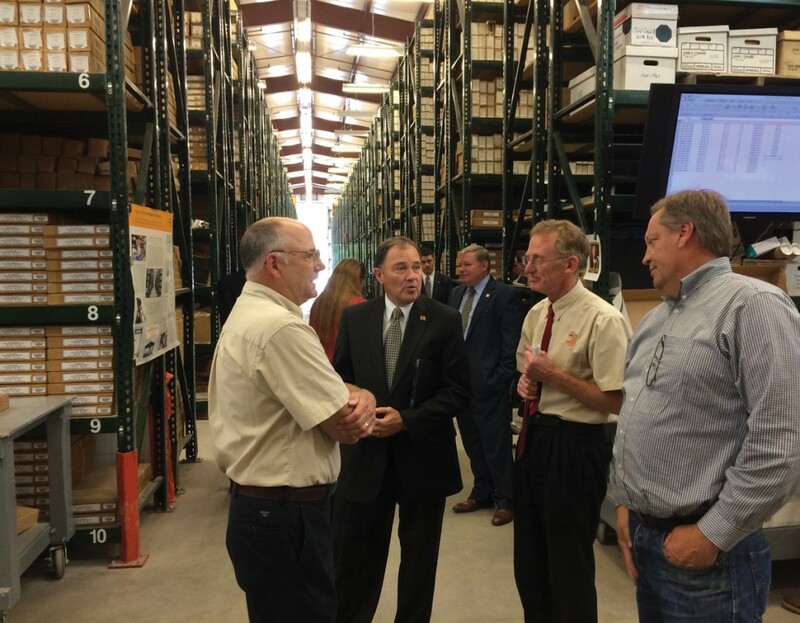 The Utah Core Research Center was established in 1951 and now occupies an 12,000-square-foot warehouse. 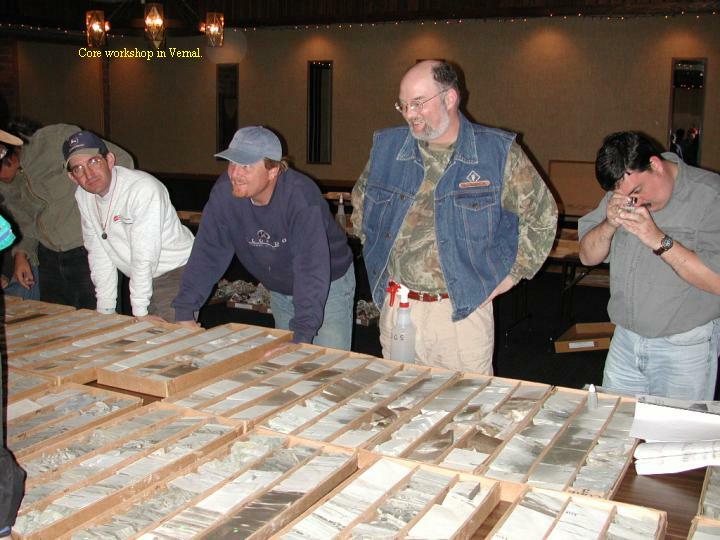 Its holdings consist of cuttings from more than 3,000 drill holes; core samples from more than 300 drill holes; representative samples from all producing formations in the state; represenative coal samples from producing coal mines; and miscellaneous samples of metallic minerals, industrial rocks and minerals, tar sands, oil shale, geothermal wells, and surface stratigraphic sections. Seeking to assure the future of the facility, the Utah Legislature authorized construction of a state-owned building dedicated to, and the establishment of a trust fund to generate interest income that would benefit the Utah Core Research Center. The new facility is designed specifically for storing samples and conducting research, and it has considerably more shelf space. The Trust Fund is administered by the Director of the Utah Geological Survey; expenditures of the fund’s principal requires concurrence of the UGS Board. The Utah Core Research Center is being used more and more often for educational and research endeavors such as core workshops for oil company training sessions, geologic program short courses, college thesis work, and sample evaluations for UGS/industry cooperative projects. The Utah Core Research Center also continues to be more aggressive in acquiring important new samples and finding and cultivating more customers. As part of that effort, the staff has inventoried and reindexed the entire collection. In addition, the new facility is equipped with an automated Order Selector and has large layout tables for examination of core and samples using an on-site core saw, binocular microscope, seive shaker, drill press, and UV light. There is also a selection of reagents to use for simple chemical tests. For any additional information, contact Peter Nielsen, Curator at the address below.